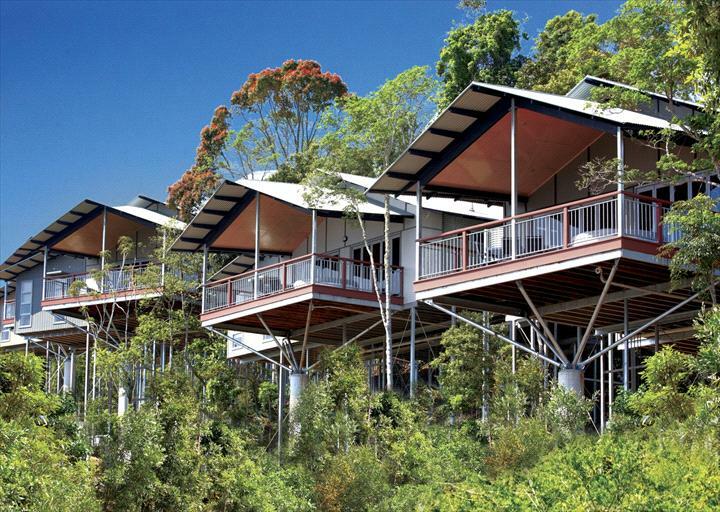 These boutique rainforest villas offer guests relaxation and privacy. Perfect for couples wanting to unwind and relax, O'Reilly's Mountain Villas are self-contained, spacious and comfortable. 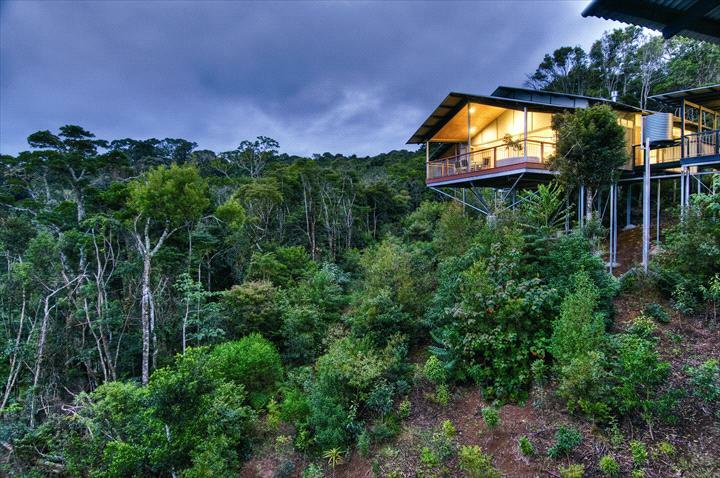 The rainforest views are breathtaking and the design compliments its natural surroundings. 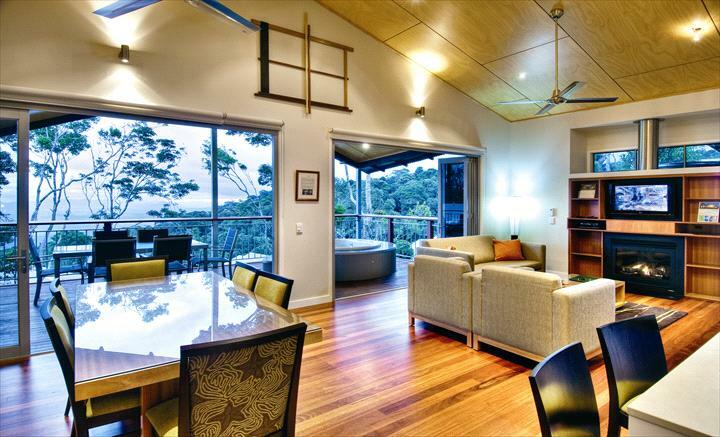 O'Reilly's Rainforest Retreat is located in sub tropical rainforest only a short drive from central Gold Coast. For more than 100 years the O'Reilly family has offered warm hospitality and accommodation in what is now the World Heritage-listed Lamington National Park. Choose from the traditional warmth and charm of the retreat (formally the Guesthouse) or the modern self-contained villas, located 700m away from the main building. The luxury two and three bedroom villas are ideal for families and groups with spacious living spaces and modern facilities. Expansive private decks with outdoor spa bath, reclining sun lounges and BBQ facilities make for an indulgent stay. Relax and immerse your body in the stunning infinity edge lap pool that boasts endless views to the mountain ranges. With a children's wading pool, let the whole family take pleasure in the luxurious pool area at O'Reilly's. If you're feeling more active, there are plenty of eco-adventures to keep you entertained including bird watching & feeding, glow worm tour, segway tours and wildlife experiences including the famous Birds of Prey show. Enjoy onsite dining at The Dining room, offering delicious food and selection of wines, including O'Reilly's ver own wine. In addition, the Mountain Cafe and Gifts is open for casual meals. While catering mainly to day visitors, it's also available to houseguests. For those wishing to hit the trails and spend the day exploring nature, O'Reilly's chefs can prepare a packed lunch. For next level pampering, book into Lost World Day Spa with spectacular views and cosy fireplace in the winter months. The Lost World Spa has seven state of the art treatment rooms, including two couples suites. O'Reilly's also caters for conferences and events to inspired delegates in a natural bush setting. The venue is also perfect for Gold Coast Hinterland weddings. O'Reilly's is located on the western edge of World Heritage listed Lamington National Park, a scenic 90 minute drive west from the Gold Coast and just under 2 hours drive south west of Brisbane, nestled in the Gold Coast Hinterland. To reach O'Reilly's Rainforest Retreat, find your way to Canungra, then turn onto Kidston St. Once on Kidston St keep heading straight as the road turns into Lamington National Park Road and follow to very end (do not make any turns off Lamington National Park Road). 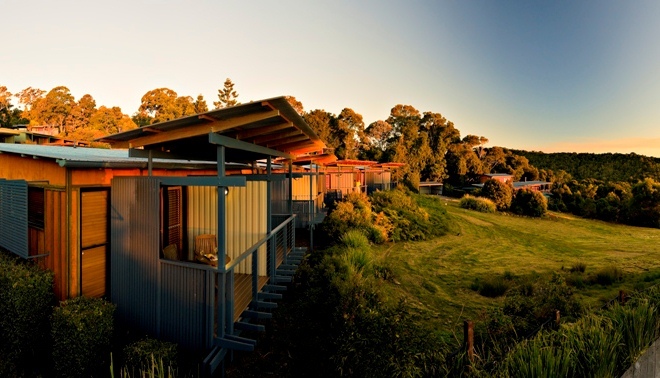 All Mountain View Rooms boast a private balcony where you can relax and soak up the magnificent views to the McPherson ranges. These luxury villas provide the perfect nature escape offering spacious and contemporary accommodation designed to connect with the natural surroundings. The interiors reflect the lush greens of the rainforest canopy, the rich hues of the rainforest floor and the vivid tones of the spectacular sunsets. Fully self-contained, featuring modern designer decor interiors (including high definition LCD TV) opening onto expansive private decks with outdoor spa bath and BBQ. Extensive use of natural timbers and large fold-back doors provide a design where the natural surroundings flow into the living space and connects with the interiors. Each villa has undercover car parking. 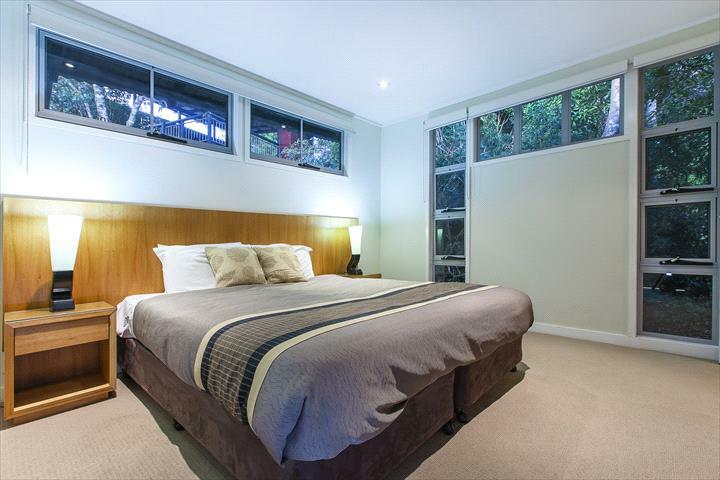 Fully self-contained, with each bedroom having its own ensuite and full kitchen. Featuring modern designer decor interiors (including high definition LCD TV) opening onto expansive private decks with outdoor spa bath and BBQ. All bedrooms have their own bathrooms and each villa has undercover car parking.